HASHTAG Vanuatu Still Smiles has become the catchphrase to sum up the locals' resilience. It is also the slogan that will carry over to the tourism market. Cyclone Pam ripped through 22 of the 83 islands last month. More than 166,000 people were affected and 75,000 in need of shelter. But the blue waters are glistening, boats are anchored and most of the shops in Port Vila are opened. There is just one thing missing - the tourists. Tourism contributes to at least 40% of the economy in Vanuatu and is expected to become the main money earner since agriculture has been destroyed. Many are concerned that by the time visitors start to come back workers would have lost their jobs and their livelihoods. Business owner Zeak Smith had to close his business, Edge Vanuatu, as it was beyond repair. He is now trying to find new employment for his staff and himself. "It is devastating, heartbreaking going from a high of winning (Best Adventure Tour in the Vanuatu Tourism Awards) against industry colleagues to nothing. "Unfortunately the whole country is not in a good employment market," the former Wurtulla resident said. Only about 50% of hotels are open and many of those are filled with volunteers and aid workers. Many plan on re-opening this month. The three major hotels, which accommodate about 400 rooms between them, are still closed. Le Lagon Resort will open in a couple of weeks, Holiday Inn is still uncertain of a re-opening date and Iririki Island Resort will not open until December. The first cruiseliner from Australia that was allowed to disembark docked on April 8. It brought a different tourist market as Port Vila is one of the last genuine duty free ports in the South Pacific. Adventures in Paradise general manager Simone Pritchard was excited by the news. "Eighty per cent of our tours will be up and running," Simone said. "It will be fantastic for the community to start getting income back in and to start rebuilding their lives." Smaller hotel properties want to re-open as soon as possible. Vale Vale Beachfront Villas manager Joy Wu said the hotel was operational when electricity was restored. "The clean-up process was started immediately, once staff returned to work," she said. "Guests are starting to come back in with 50% occupancy and while there have been some cancellations bookings are coming in." The former Brisbane resident said her guests still had a range of tours to choose from with only a few unable to start back. "I think most overseas visitors wouldn't single out Vanuatu as being a cyclone zone any more than the other Pacific islands, it was just our turn," she said. Joy believes that this could even have a positive effect on tourism in the future. "Vanuatu (an unknown place to many beforehand) has been put more noticeably on the map now." Some of the islands have remained untouched such as Espiritu Santo, one of the major tourist destinations. The Mele Cascades are flowing crystal blue, the snorkelling is a highlight and the culture is abundant. The Havannah Harbour north side is a spectacular natural haven which was used during the Second World War as a naval rear base by the entire US 7th fleet. The Havannah a boutique retreat, 30 minutes from Port Vila, plans to re-open on June 1. The staff have remained employed and are helping to get the resort back up. General manager Frederick MacLean said they were hit badly but not compared to some. "We had only just re-opened after refurbishing in February and it was the best it ever looked," Frederick said. "Obviously it hurt as April was 94% booked." He said they do not want to rush re-opening as they want to do it right. "We want to open with a product even better than it was before," he said. "But we need the tourists to start coming back, the country needs the tourists. 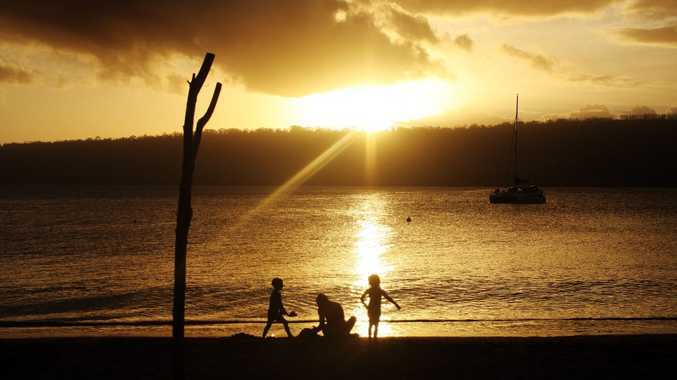 "Vanuatu is still the same. It is a great country and people and it is a fantastic experience." The Vanuatu Tourism Office is advising passengers due to travel to Port Vila and Tanna before April 18 to check with accommodation providers to ensure they will be operational. Passengers due to travel to Espiritu Santo should continue to travel as planned as the island remains open for business. Vanuatu Tourism Office regularly provides updates on the conditions of specific hotels, tour attractions and cruises on their Discover Vanuatu website.